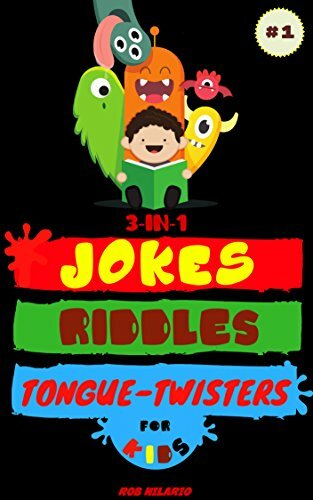 This book is an interesting read that can be shared by the whole family. Halloween costumes have become ridiculously expensive. There are some good ideas here for easy to make costumes from materials found around the house. 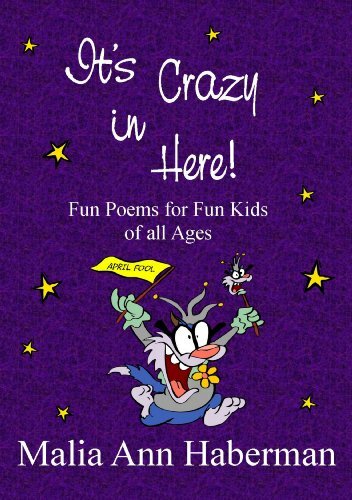 Skeletons, monsters, knights, fairies, and superheroes are featured. 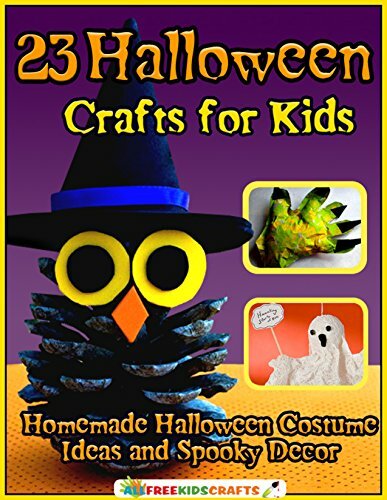 Directions are included for luminaries, wreaths, pinecone owls and spooky spider webs. Monster snot is a meringue dessert that is sure to please. Younger children can help with the simpler crafts and older children can get involved with paper mache, cutting and gluing materials. What a fun way for a family to share a chilly, Fall weekend afternoon or evening! Recommended for siblings and families to share or a classroom project. 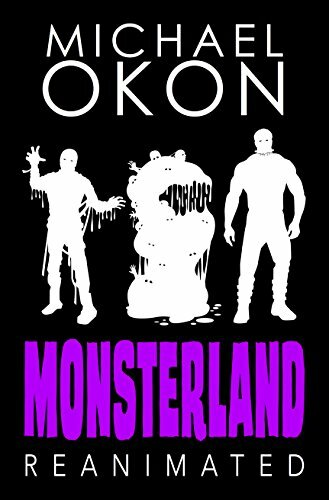 This book follows Monsterland, which was written by Okon under the pen name, Philip Cash. The story begins on the first night after the Monsterland catastrophe. Death and destruction had reigned over the theme park. There were few survivors. Wyatt and his family struggle to find food supplies and clean water. World leaders had been murdered; governments had collapsed. Wyatt will need to move beyond his hometown to contact the outside world and warn them about a traitor. Meanwhile, inside Monsterland an army of mummies and a strange, gelatin-like ooze, nicknamed the Glob has arisen. Can anyone survive the terrors which haunt the community? The characters are well-developed. I could not put the book down. Be prepared to be frightened. Looking forward to reading more thrillers from this author. Recommended for young adults and adult audiences. 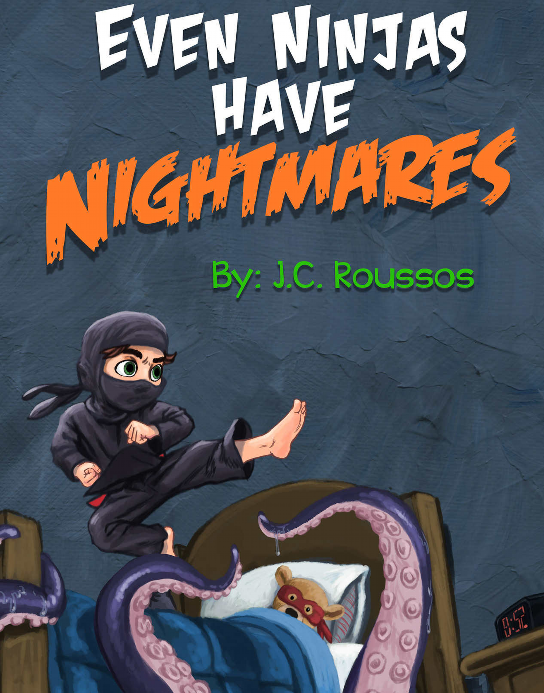 A male second grader who is obsessed with ninjas is the protagonist in this picture book. As he climbs into bed, he imagines monsters under his bed. Dressed as a ninja, he jumps out of bed but finds only his mask and play sword under the bed. His mother comes to comfort him and turns on the ninja night light. When bad dreams arrive again, his mother again gently explains it is okay to have bad dreams. After he finally falls asleep, our little ninja hears a scream. This time when he leaps out of bed, the boy becomes a hero in his own right. The exceptional illustrations in this book allow the story to leap into life for young readers. Colors and expressions tell the story exquisitely. 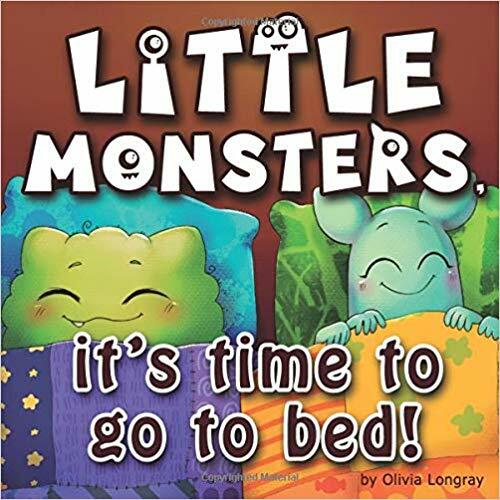 Highly recommended for young children who experience night tremors.